Are you all ready for Messina's new flavoured milks? 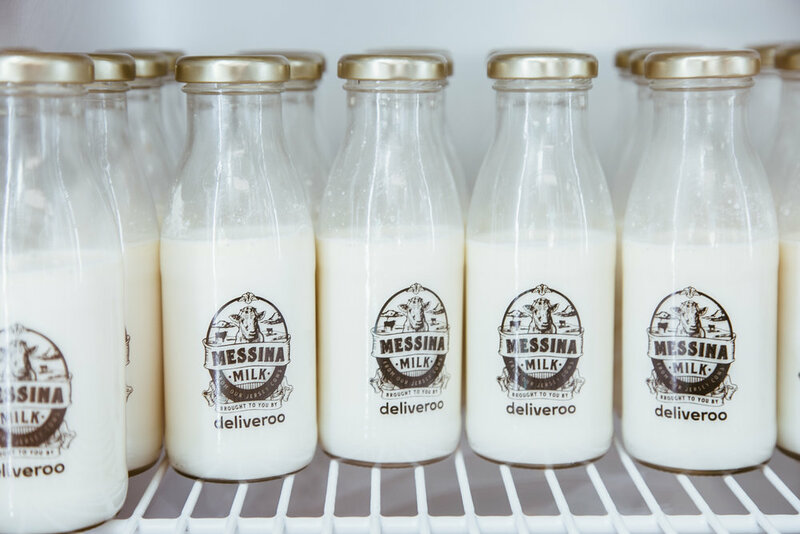 Deliveroo and Messina launched an exclusive pop up to introduce Messina Milk for the first and only time in World Square last week. Upon my arrival I made my way towards the Deliveroo's Infinity Field - an interactive infinity mirrored cube displaying milk-bottle dandelions which sits beside a bespoke milk bar station. Messina Milk is made from Messina's very own Jersey cows in Victoria. 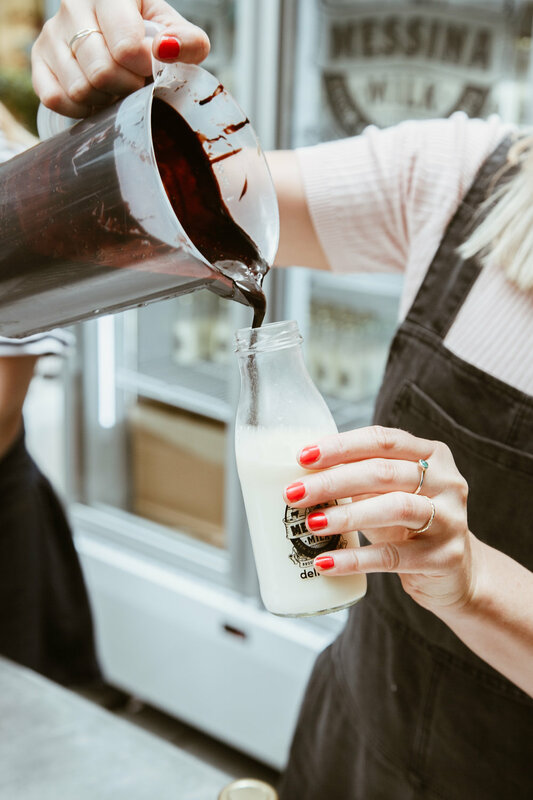 The Milk Bar station had several flavours which were available to the public some of which included: salted caramel, strawberry, chocolate, malted vanilla and iced coffee. I opted for the strawberry & chocolate flavour and it didn't disappoint. It's hard not to love the custom-printed old-school milk bottles and the fact that the milk is made from scratch using raw ingredients, without pastes or gels is a definite bonus! To supply their own milk, Messina recently purchased Erindale Farm in Victoria and produced a special batch exclusively just for this event. Get down to Southbank in Melbourne for the next pop up on the 11th of November from 12-7pm if you missed the pop up in World, Square Sydney today!